or leave us your info and we will get to you! What you need to know to sell any product in Amazon? What are FBA prep center? Why Kaizen as your go-to prep center? Fulfilment by Amazon, o mostly known as FBA, is an alternative service that aims to help sellers to store their products in an Amazon Fulfilment Center. There, your products get picked, packed and shipped to your clients. As well, Amazon provides costumer services for those products. This way the only role you have left is selling. Amazon takes cares of the rest. Con este programa se permite a cualquier persona en el mundo vender artículos en su plataforma, con la ventaja de poder almacenarlos en las propias bodegas de Amazon. Usando este servicio, Amazon se encarga de manejar todo lo relacionado con envíos, reembolsos, devoluciones y proporcionar un excelente servicio al cliente. Which type of seller are you? We can help you all on the prep of your inventory to comply with Amazon FBA standards. What is FBA Prep Center? These are centers in which seller merchandise are received, reviewed and prepared to comply with Amazon FBA requirements to get into their warehouses. Prep centers tend to be warehouses that have all the resources to adequate, receive and maintain seller inventory. They have control environment and restricted access and best of all, count with the resources necessaries to get your merchandise ready to go. Amazon is constantly reviewing FBA fees, norms as well as merchandise packing parameters. That’s why we keep ourselves aligned with the latest rules and trainings as they are improving to keep a fair marketplace for all. How does FBA Prep Service works? 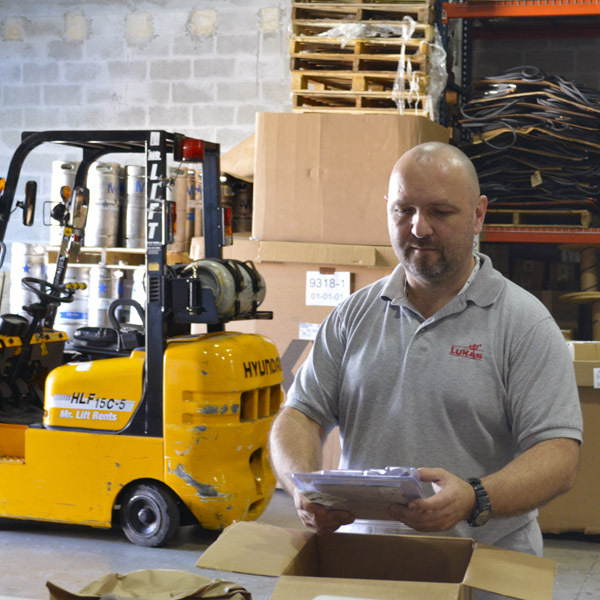 We receive and inspect your merchandise in our warehouse. Then, we check that it is in good conditions and it complies with quality control standards from Amazon. After, we report you the result of reception and inspection. Now is your turn: You tell us, as your prep center, what will be your plan in regards of quantity and specifications. After that, either you send us the fulfillment item labels (FNSKU) or you give us partial access to your store so we can print directly the item labels. This is our favorite step, in which we get your merchandise and individualize it into polybag. We get our hand on getting your merchandise as FBA warehouse requires it. Once ready, your merchandise is shipped to Fullfilment warehouse through courier such as Fedex, DHL, USPS or others (LTL). We ship every day, so you can make sure that as soon as your merchandise is ready we get it on its way to Amazon warehouses at an affordable rate. All in standard package, according to your specifics needs. Note: Some of our prices depends on variables such as volume, weight and distance. Should I start an store in Amazon? In Amazon you can find millions of products. These are sold, in many cases by more than one supplier. If you are a private label, you have the opportunity to have an Amazon store for your products. This way you could reach an audience of millions of people, in every country where Amazon has presence. But even if you are not the manufacturer or do not have a brand of your own, you can distribute products manufactured by others through your Amazon store. Among Amazon stores there are large corporations, small companies and even people who want to get started in e-commerce. So, if you want to sell on the Internet, you certainly need to have a store on Amazon. Whether you have registered a company or not, start selling on Amazon is simple. Here at Kaizen we can help you to take your first steps in the exciting world of e-commerce. When having an Amazon store, you not only have to worry about starting to sell on Amazon, but also you have to think about tracking the store activity. 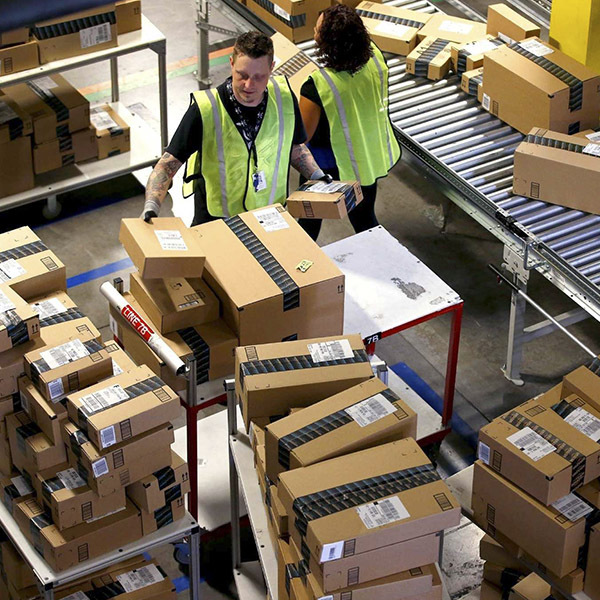 To make this easy for store owners, Amazon has created the Fulfillment by Amazon service. With this service, stores owners should only worry about sending their products to Amazon, the way Amazon receives them. And you do not even have to worry about that, because we here at Kaizen can do all the prep service for Amazon. Why Kaizen is the ideal FBA Prep Center for you? We strictly comply with Amazon’s requirements regarding the standards for the proper receipt of merchandise in its warehouses. We move as quickly as possible for your merchandise to be in the shortest time possible in Amazon warehouses, so you start selling in record time. Your merchandise is not at risk in our 20,000 square foot warehouse. We take care of your merchandise keeping it free of moisture, and it is only treated by authorized personnel. In addition, our warehouse is insured in case of an emergency or hazard. Working with us is super easy for you. We adapt to your needs, not you to ours. We do not require minimum quantities or long-term contracts. New selling on Amazon? Many doubts and questions? We welcome clients without experience and help them train along the way. We are going to be here next to you. We will never compete with you or share information from your store with third parties. Relax, we got you. How much can you make with an Amazon store? A lot depends on how much you invest, how many and what types of products you have and how much advertising you do. Some products are more in demand than others. Having these products for sale can make more people interested in buying in your store. However, there is generally more competition among the products in greatest demand. So, possibly the profit margin you could get would be less. Other products could be less demanded, but in such cases, the profit margin obtained is usually higher. Kaizen offers advice on the use of advertising and marketing tools, such as JungleScout, which are allied and endorsed by Amazon to promote and position your products. Another factor to think about is the sale price of the products. The cheaper ones are sold more easily and more regularly than the more expensive ones. The advertising you make to your product listings can influence how they are seen by more potential customers and receive more orders. In addition, reviews are, as a rule, the most important factor for customers to decide to buy your product. But in this particular you must be very careful not to create false reviews for your products. This is a harmful practice that Amazon fights to eliminate. Amazon is, without a doubt, one of the world biggest e-commerce platforms. Don’t miss the opportunity of being part of it! Copyright © 2018 Kaizen Freights. All rights reserved.